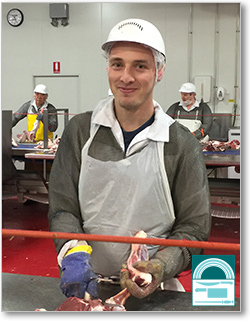 The Meat Industry Employees’ Superannuation Fund is run by the Trustee, which is a company (Meat Industry Employees’ Superannuation Fund Pty Ltd). Its Articles of Association were most recently approved by the Trustee in June 2003. The Board appoints directors nominated by the AMIEU on behalf of members together with representatives of participating employers in equal numbers with a maximum of 14 in accordance with its Board Renewal Policy. Chris White was appointed as an independent chairperson on 7 February 2014. The Directors’ Qualifications and Experience are shown here along with information about their attendance at Board meetings for the last seven financial years. The Remuneration Disclosures for the Directors and Executive Officers are shown here. MIESF senior management has day-to-day responsibility for the running of the Fund in accordance with various legislation. The Senior Managers’ Qualifications are shown here. The MIESF Trust Deed sets out the governing rules of the Fund. The Trustee maintains a Register of Relevant Duties and a Register of Relevant Interests in accordance with its Conflicts Management Policy. The Trustee has a Proxy Voting Policy and a summary of how the Trustee has exercised its voting rights in relation to shares in listed companies is shown here. The Financial Statements of the Trustee company as at 30 June 2018 are shown here. A summary of the Fund’s financial statements for the year ended 30 June 2018 is available on page 8 of the 2018 Annual Report. In order to provide you with superannuation benefits and to properly manage the Fund, your Fund holds personal information about you that identifies you as a member (e.g. your name, address, date of birth, gender, occupation, salary, and tax file number). The Fund generally collects this information either from you or your Employer. Your personal information may be disclosed to the Fund’s professional advisers, insurers, government bodies, your Employer, external mail houses and other parties as required, including the trustee of any other fund you may transfer to. By becoming a member of the Fund, it is assumed that you consent to this handling of your personal information. If you do not provide the Fund with your personal information, the Fund may not be able to provide your superannuation benefit. You can access your personal information held by the Fund. Should any of your personal information be incorrect, you have the opportunity to correct it. There are, however, some rare circumstances where you may be denied access to your information. The Fund’s Privacy Officer will advise if any of these circumstances apply.